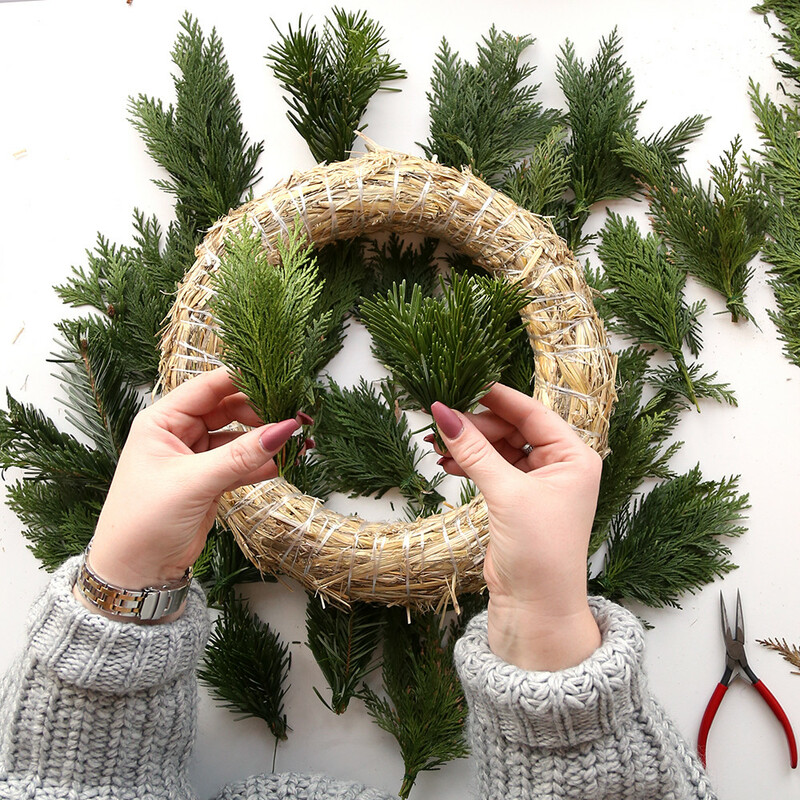 - A wreath base. 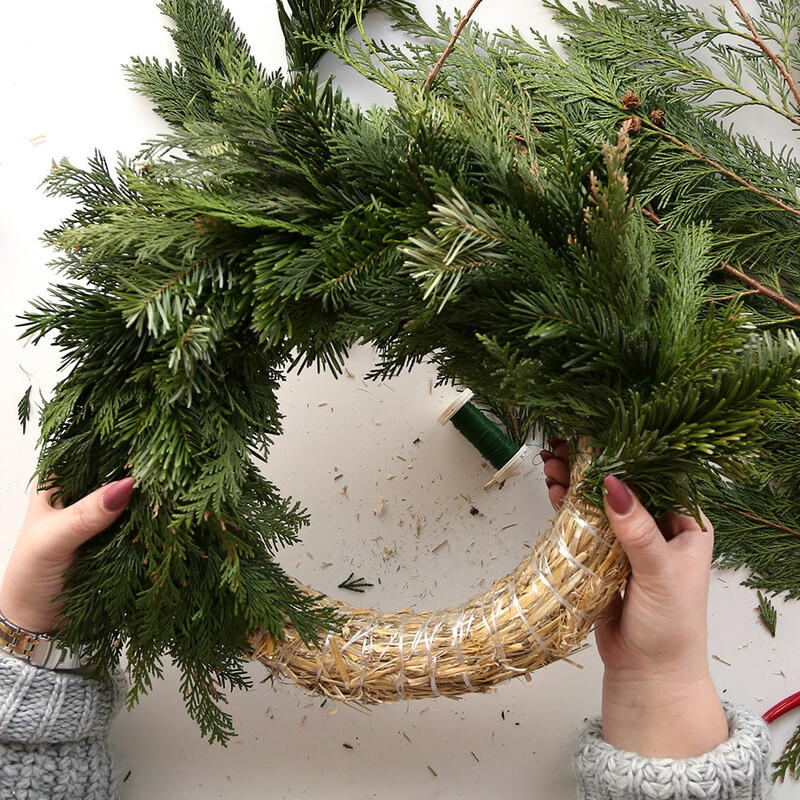 This one is made of straw, but you can use one made of twigs or even foam, too. 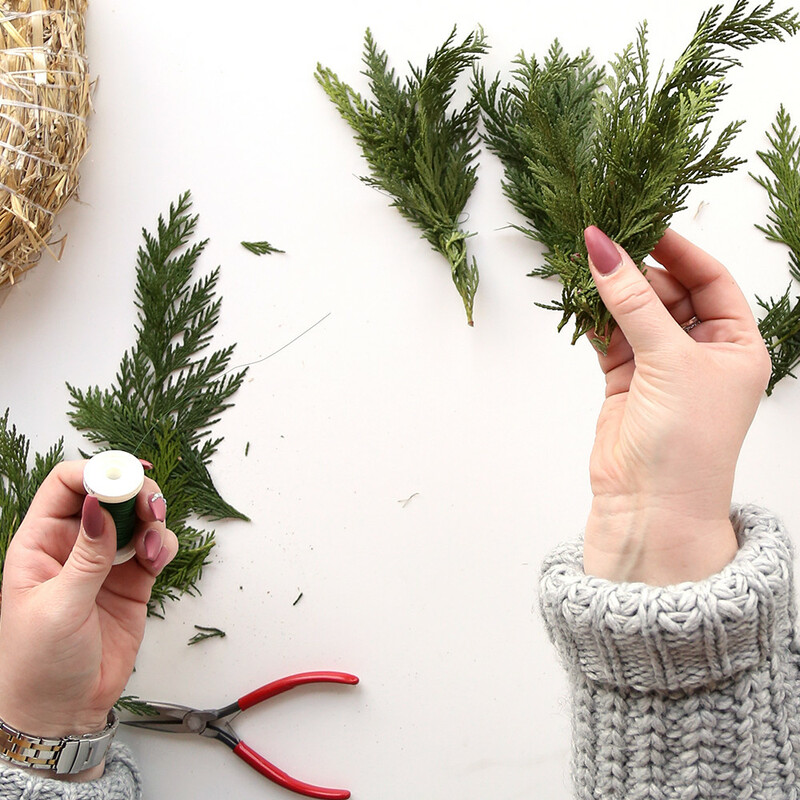 - Some kind of greenery :) Our Ebba is mainly using thuja, and a bit of spruce. Mix to your heart’s content! 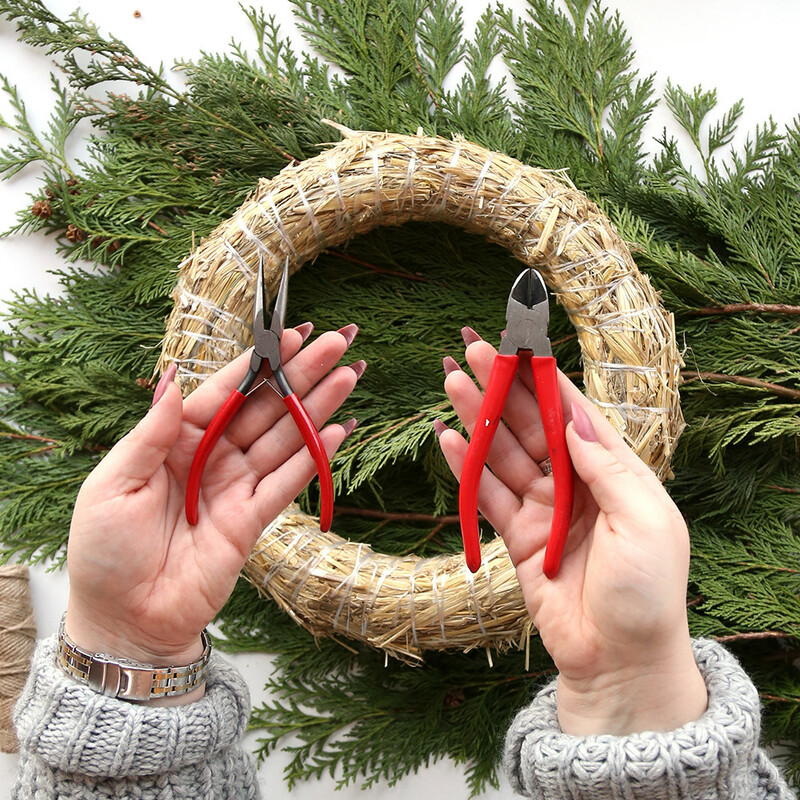 - Two types of pliers: Ebba is using a pair of needle nose pliers and side cutters. - A ribbon of your liking. 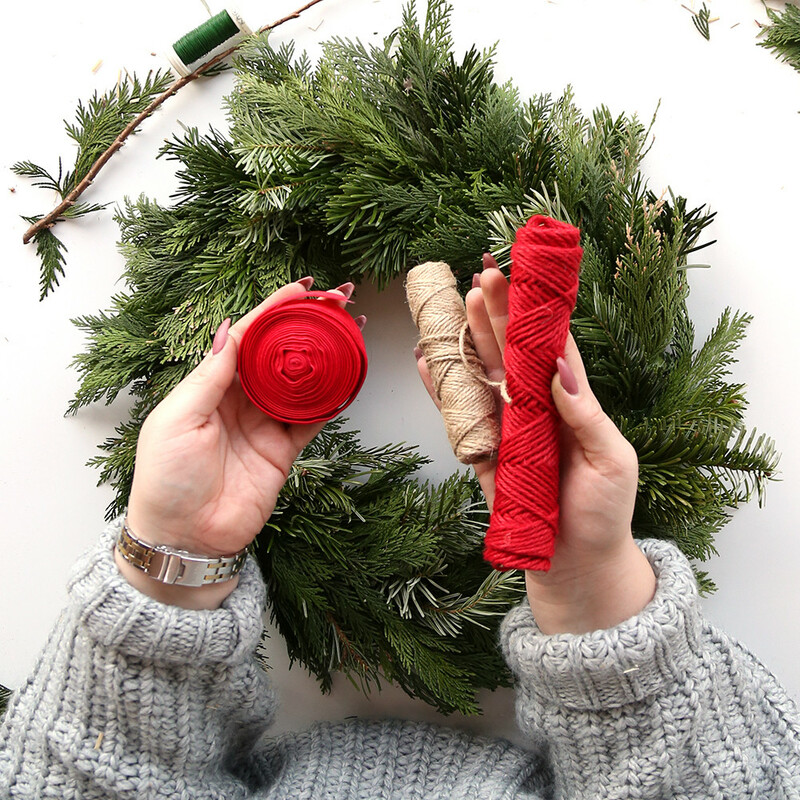 Ebba is using a lush, red velvet ribbon for a lovely Christmassy look. Make little bunches of your greens. 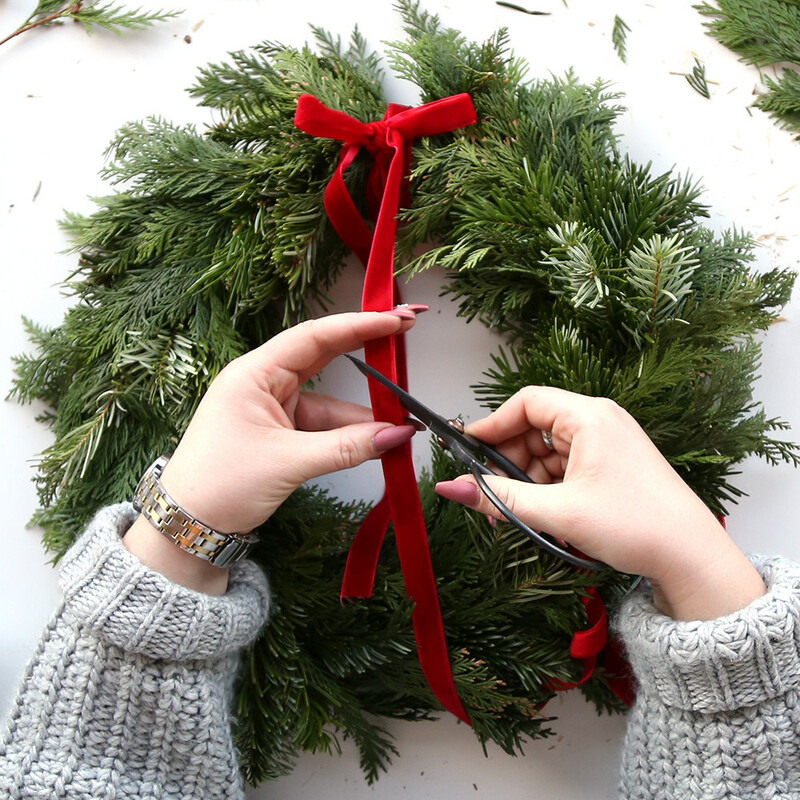 Start by winding the wire twice around the wreath base so that the wire is secured into place. 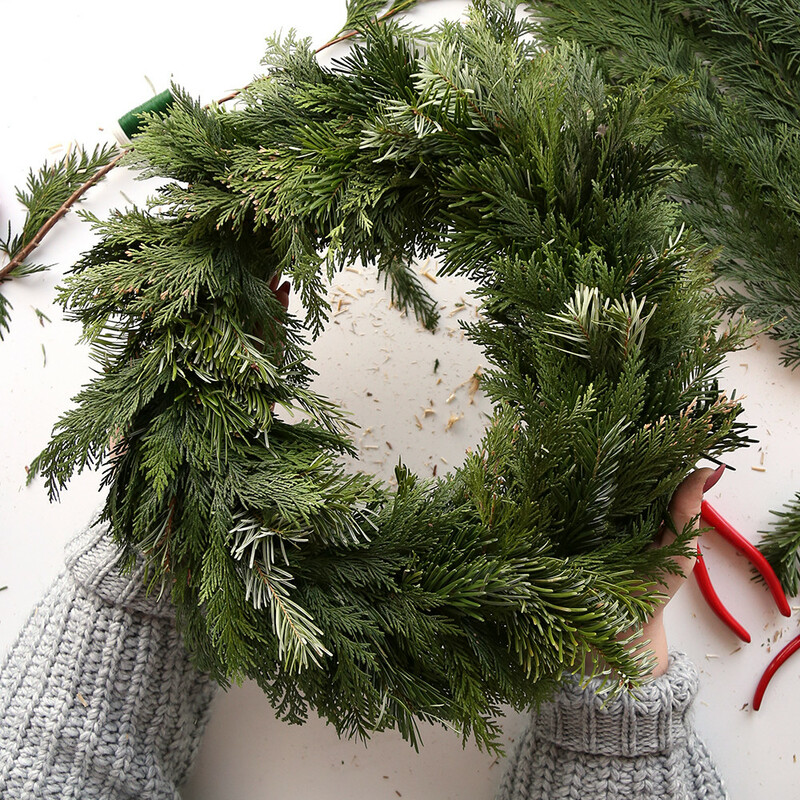 Attach your first bunch to the base by winding the wire around the bottom stems of the bunch. 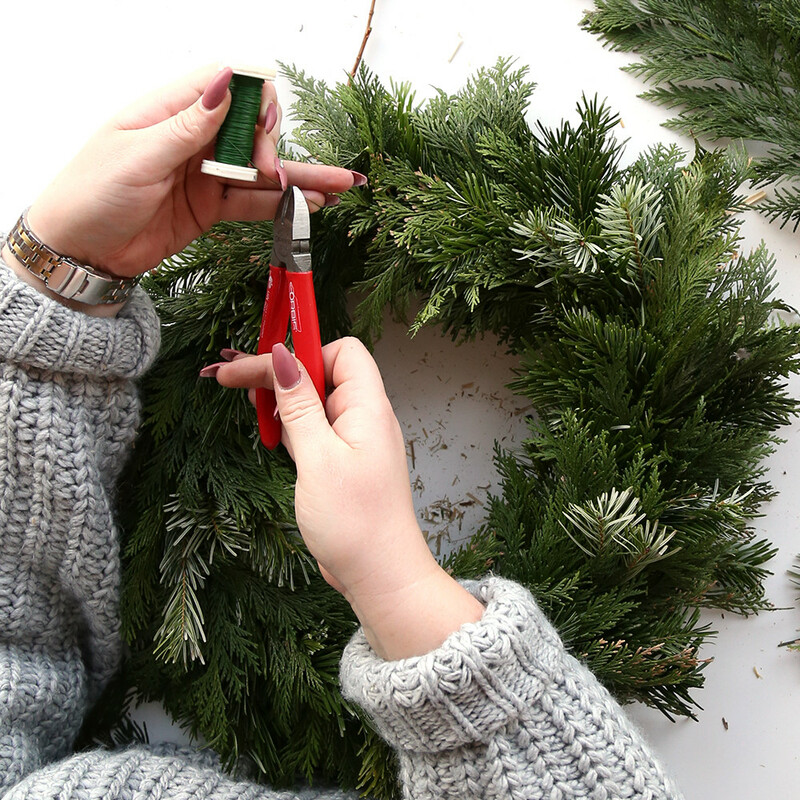 Place your next bunch at the bottom of your first, overlapping slightly to cover the wire of the first bunch. Work your way down, counterclockwise. 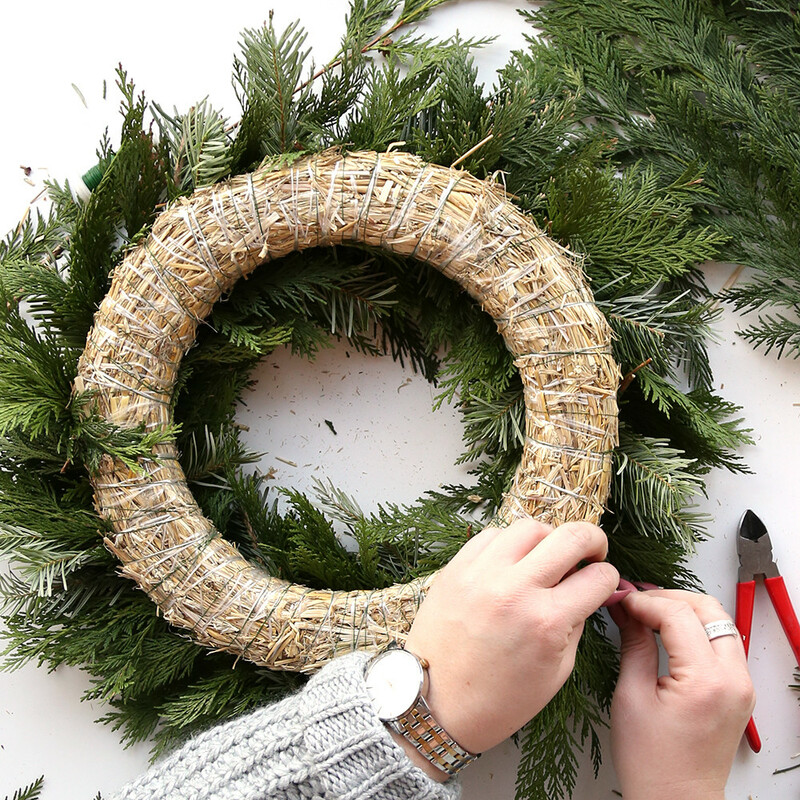 Go around the whole wreath in the same fashion, placing your bunches closely together on the front and edges of the wreath and fastening them as you go. 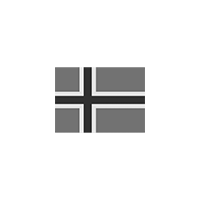 The back should look something like this, and the front like this! 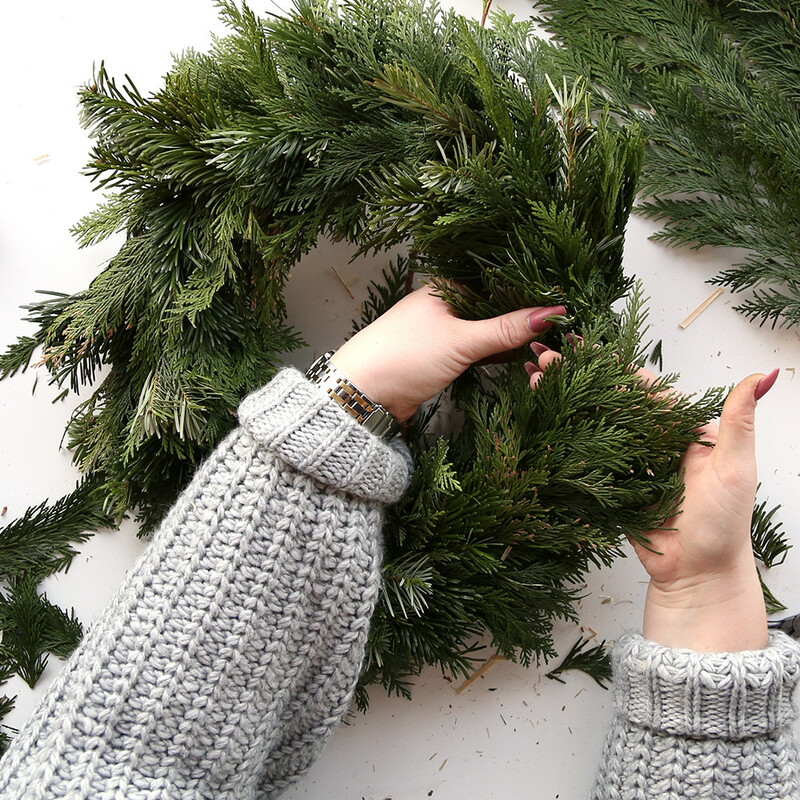 Once you’ve fastened all your little bunches, wind the wire one last time around the wreath base to secure it. 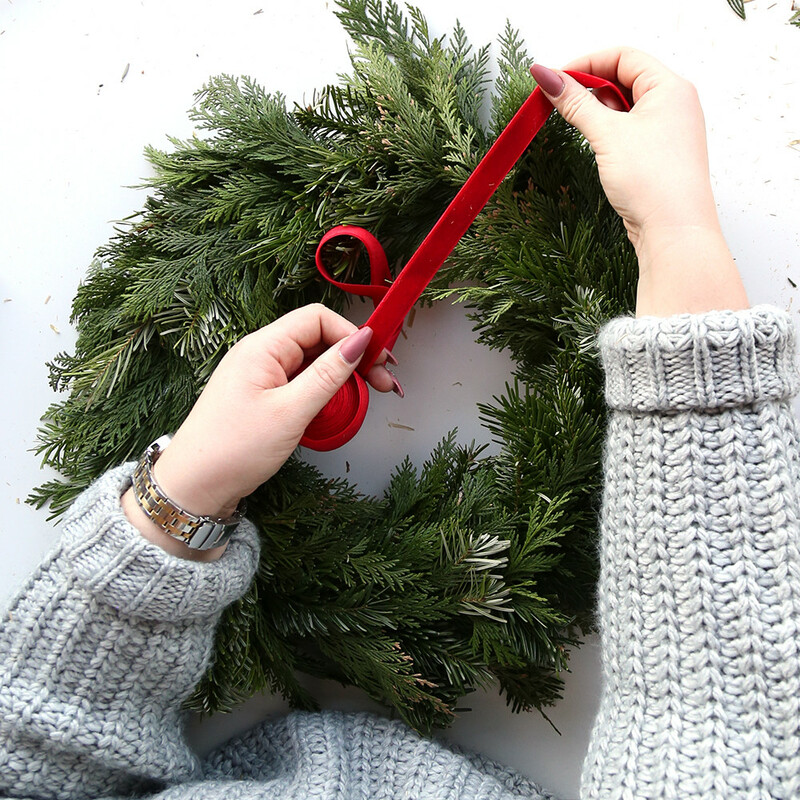 Before cutting the wire, make a loop for hanging. 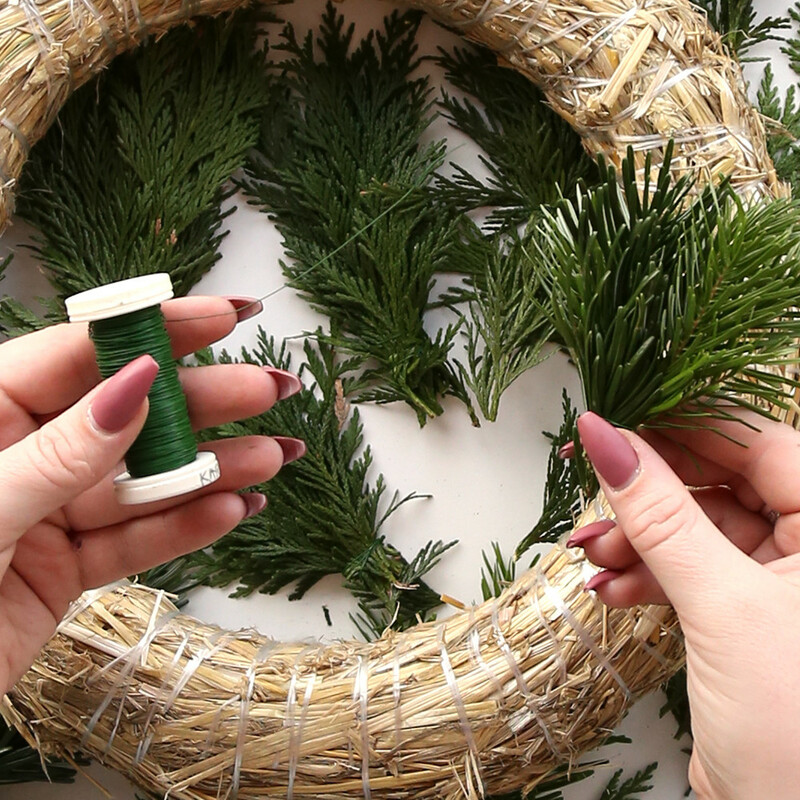 Once you’re happy with the fluffiness and general look of your wreath, tie your ribbon at the top and make a little bowtie. TA-DA! 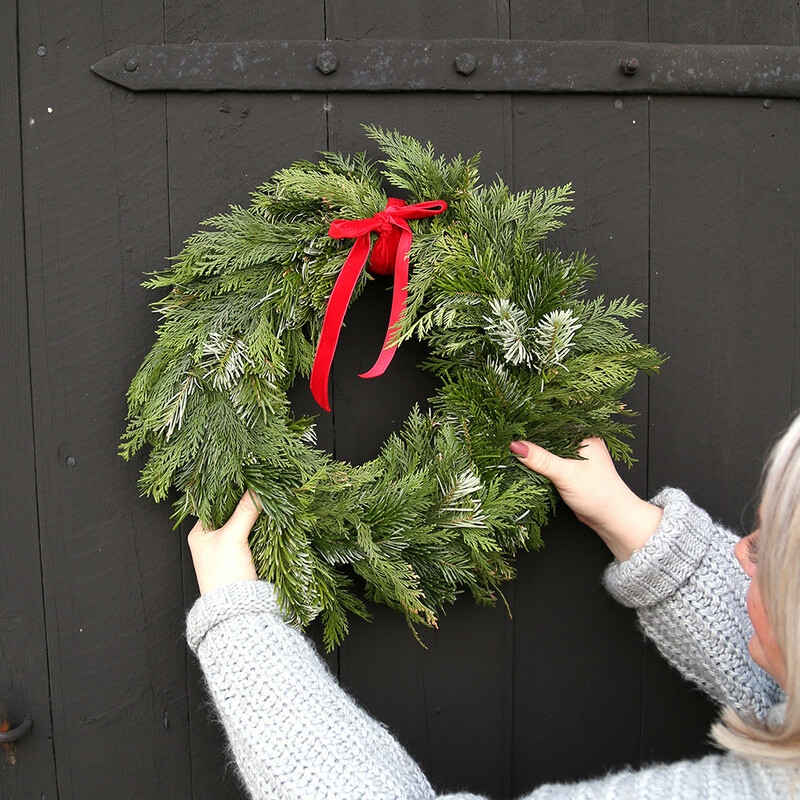 Hang up on your front door and enjoy!